Please Note: The information contained on this page is provided for information purposes only and should not be considered legal advice, nor is it a substitute for the interpretation of regulations by the state authorities having jurisdiction over radiology licensing in your state. Please contact your state radiology board directly for official business. The state of Alabama does not have any licensure requirements for x-ray professionals. Alaska recently passed legislation governing training for radiologic technology. Individual facilities have their own standards which vary considerably around the state. For example, larger facitilities with JCAHO accreditation are not likely to hire anyone without ARRT certification. A small clinic may not have this requirement. - Radiologist Assistant - ARRT exam. - Radiography - State or ARRT exam; reciprocity granted if original state's licensure standards are equivalent. - Nuclear Medicine - State or NMTCB exam; reciprocity granted if original state's licensure standards are equivalent. - Radiation Therapy - State or ARRT exam: recipricol if original state's licensure standards are equivalent. - Mammography - State or ARRT exam; reciprocity granted if original state's licensure standards are equivalent. - Limited License x-ray (Practical Radiologic Technologist); can perform chest chest, extremities (upper & lower); no contrast media; bone densitometry; Must pass State board approved exam (ARRT). Limited licensure is granted by the board for State Practical Technologists who have completed a state approved course that provides 210 hours of academic curriculum and 480 hours of clinical training. Students must attend a limited license program in Arizona (no home study or online courses) in order to obtain a limited license in x-ray. - Venipuncture - Nothing is written in statute that states an R.T. can or cannot perform. - Medications - Nothing is written in statute that states an R.T. can or cannot perform. - Contrast Media - Nothing is written in statute that states an R.T. can or cannot perform; Limited cannot perform. - Fluoroscopy - Nothing is written in statute that states an R.T. can or cannot perform; Limited cannot perform. - Radiology Assistant - State or ARRT exam. - Radiography - State or ARRT exam. RCIS exam for performance of cardiovascular procedures. - Radiation Therapy - State or ARRT exam. - Nuclear Medicine - State, ARRT or NMTCB exam. - Limited License X-ray - Can perform chest, spine, extremities, skull and sinuses. Under direct supervision of licensed practitioner; The state issues Limited Scope Certification to those who successfully pass the ARRT limited scope examination. Students interested in obtaining Limited Scope Certification are not required to attend a formal school before taking the ARRT examination. However, the state Board encourages student to take a course to prepare for the ARRT examination and recommends "Radiography Essentials for Limited Practice" 2nd edition, available through the Radiation Board office. - Cardiovascular; State board approved exam; cardiovascular must be RCIS registered. - Radiography - Mandatory six hours in one-year period. - Limited License X-ray - Mandatory six hours in one year-period. - Nuclear Medicine - Mandatory six hours in one-year period. - Radiation Therapy - Mandatory six hours in one-year period. - Mammography - Mandatory six hours in one-year period. - Contrast Media - Nothing is writtenÂ thatÂ an R.T. can or cannot perform; Limited cannot perform. - Fluoroscopy - Nothing is written that states an R.T. can or cannot perform; Limited cannot perform. - Radiography - State or ARRT exam. - Nuclear Medicine - State or NMTCB Exam. - Fusion Imaging - State or ARRT Exam. - Limited (X-ray Technician or XT) - Can perform chest, extremities, dental laboratory, gastrointestinal, genitourinary, bone densitometry, leg podiatric, skull, torso-skeletal categories;Â Limited permit applicants must have completed a course of study through an approved school in the state of California, as well as completion of a specific prescribed number of clinical exams (logs) at an approved clinical education site before they are eligible to take the state administered limited license exam. - Radiography - Mandatory 24 hours in two-year period. - Nuclear Medicine - Mandatory five hours in five-year period. - Radiation Therapy - Mandatory 24 hours in two-year period. - Fusion Imaging - Mandatory 24 hours in two-year period. - Limited License x-ray - Mandatory 24 hours in two year-period; radiography & fluoroscopy supervisor and operator permit. - Mammography - Mandatory 24 hours in two-year period; 10 CE in mammography and perform 200 exams. - Certified Supervisors and Operators (California licensed physicians and surgeons, podiatrists, or chiropractors) - 10 hours in a two-year period. - Venipuncture - R.T. can perform under supervision of licensed physician and surgeon; upper extremity only. - Contrast Media - R.T. can perform under supervision of licensed physician and surgeon; upper extremity only. - Fluoroscopy - Special fluoroscopy permit is required. - Radiographers (RTs) are not state licensed. They only need to pass the ARRT exam. - Mammography - Two-year licensing term. - Limited License X-ray (non-certified technologists) - Can perform upper and lower extremities, spine, skull, chest, bone densitometry ; Must pass State or ARRT exam, reciprocal if taken and passed ARRT Limited Scope Exam in another state.Â Noncertified technologists must be licensed to work outside of hospital settings. It is assumed hospitals only hire licensed personnel. For Limited licensure, individuals must demonstrate competency via satisfactory passage of a limited scope examination (75% or higher) administered by the American Registry of Radiologic Technologists (ARRT). Those wishing to obtain a limited scope license might consider preparing for the exam using the Glacier Valley Medical Education Radiology Study Guide. - CT - ARRT CT registry. - Mammography - Not mandatory. - Limited - Not mandatory. - Radiography - ARRT exam or endorsement by board; Licensed by Dept. of Public Health, Bureau of Health System Regulation. - Radiation Therapy - ARRT, NMTCB exam or endorsement by board; ; Licensed by Dept. of Public Health, Bureau of Health System Regulation. Limited License X-ray: Connecticut requires that anyone taking x-rays be certified through the American Registry of Radiologic Technologists (ARRT), which requires graduation from a 2-year school of radiologic technology. The state does not recognize limited licensure x-ray technologists. - Radiography - Not Mandatory. - Radiation Therapy - Not Mandatory. - Venipuncture - Requires three years experience and training. - Medications - Requires three years experience and training. - Contrast Media - Nothing is written in statute that states an R.T. can or cannot perform. - Fluoroscopy - Nothing is written in statute that states an R.T. can or cannot perform. - Radiography - State or ARRT exam; reciprocal if other state's licensure standards are equivalent. - Nuclear Medicine -State or NMTCB exam; reciprocal if original state's licensure standards are equivalent. - Radiation Therapy - State or ARRT exam; reciprocal if original state's licensure standards are equivalent. - Cardiovascular - State or CCI exam; reciprocal if original state's licensure standards are equivalent. - Limited License X-ray - Can perform chest, extremities, skull, spine, podiatric, bone densitometry examscategories; must pass ARRT Limited Scope exam; reciprocal if original state's licensure standards are equivalent. Students interested in obtaining Limited Scope Certification are required to attend an approved course of study before taking the ARRT examination. Contact the Office of Radiation Control for a list of approved courses. Those wishing to obtain a limited scope license might consider preparing for the exam using the Glacier Valley Medical Education Radiology Study Guide. - Nuclear Medicine - Not mandatory. - Cardiovascular - Not mandatory. Venipuncture - Nothing is written in statue that states an R.T. can or cannot perform. Medications - Nothing is written in statute that states an R.T. can or cannot perform. Contrast Media - Nothing is written in statue that states an R.T. can or cannot perform. Fluoroscopy - States in writing in the statute who can or cannot perform; May assist physician. The District of Columbia does not have any licensure requirements for x-ray professionals. - Radiography - State or ARRT exam. ; by endorsement/reciprocal license if original state's standards are equivalent. - Nuclear Medicine - State or NMTCB Exam; by endorsement/ reciprocal license if original state's standards are equivalent. - Radiation Therapy - State or ARRT Exam; by endorsement/reciprocal license if original state's standards are equivalent. - Fusion Imaging - State or ARRT Exam; by endorsement/ reciprocal license if original state's standards are equivalent. - Basic X-ray Machine Operator (BXMO or Limited Scope) - under direct supervision and control of licensed practitioner;must pass ARRT Limited Scope exam. At present, there is no minimum educational requirement to take the BMO certification examination. The Department of Health and Rehabilitative Services provides some study material upon initial application for the BMO certification examination. In addition, those wishing to obtain BMO certification might consider preparing for the state BMO exam using the Glacier Valley Medical Education Radiology Study Guide. - Podiatric BXMO also under direct supervision; Must pass the ARRT Limited Scope exam. - Radiography - Mandatory 12 hours in two-year period; Nine hours must be technical, only three hours can be personal development. - Nuclear Medicine - Mandatory 12 hours in two-year period. - Radiation Therapy - Mandatory 12 hours in two-year period. - Fusion Imaging - Mandatory 12 hours in two-year period. - Limited (BXLMO) - Mandatory 12 hours in two-year period. - Radiologist Assistant - Mandatory 12 hours in two-year period. - Venipuncture - Nothing is written in statue that states an R.T. can or cannot perform. - Contrast Media - Nothing is written in statue that states an R.T. can or cannot perform. - Fluoroscopy - radiologist assistant may perform fluroroscopy; BXLMO can perform only general fluoroscopy. The state of Georgia does not license the operators of x-ray equipment, nor does it have any requirements relative to the licensure or credentialing of x-ray machine operators. - Radiography - State or ARRT exam; reciprical if original states' licensing standards are equivalent. - Nuclear Medicine - State or NMTCB Exam; reciprical if original states' licensing standards are equivalent. - Radiation Therapy - State or ARRT Exam; reciprical if original states' licensing standards are equivalent. - Nuclear Medicine - Mandatory 24 hours in two-year period. The state of Idaho does not have any licensure requirements for x-ray professionals. - Nuclear Medicine - State, ARRT, NMTCB or ASCP Exam. - Chiropractic Radiography - State or ACRRT Exam. - Limited License X-ray - The stateÂ grants limited radiography licensure to those who prepare for and pass the ARRT limited scope examination. Limited radiographers may, under the direction of a licensed practitioner, perform radiographic exams of one or more of the following: chest, extremities, skull/sinus,Â spine and bone densitometry. Students interested in obtaining Limited Scope Certification are not required to attend a formal school before taking the ARRT examination. Those wishing to obtain a limited scope license might consider preparing for the ARRT exam using the Glacier Valley Medical Education Radiology Study Guide. - Radiography - Mandatory 12 hours in a one-year period; See regulations for specific CE course requirements. - Limited - Mandatory 6 hours in a one-year period; radiography and fluoroscopy supervisor and operator permit; See regulations for specific CE course requirements. - Nuclear Medicine - Mandatory 12 hours in a one-year period; See regulations for specific CE course requirements. - Radiation Therapy - Mandatory 12 hours in a one-year period; See regulations for specific CE course requirements. - Chiropractic Radiography - Mandatory 12 hours in a one-year period; See regulations for specific CE course requirements. - Mammography - Mandatory 12 hours in a one-year period; See regulations for specific CE course requirements. - Nuclear Medicine - ARRT or NMTCB exam. See also 410 IAC 5.2-8-1 et. seq. - Radiation Therapy - ARRT exam. - Limited License X-ray - Can perform chest, chiropractic, dental, limited, general without use of contrast media, podiatry (foot, ankle, lower leg below knee); The state grants limited certification to those who prepare for and pass the ARRT limited scope examination. Students must attend a state approved limited license program in Indiana in order to be eligible to take the limited scope exam and obtain a limited scope license. Students - Must apply for a student permit while enrolled in a program. - Contrast Media - R.T. can perform under supervision of licensed physician and surgeon. Cannot be performed by limited x-ray machine operators. - Fluoroscopy - Nothing is written in statute that states an R.T. can or cannot perform; there is a regulatory reference of R.T.s performing fluoroscopy. - Radiography - The state also has general and limited in-hospital diagnostic radiographers; State, ARRT or American Registry of Clinical Radiogrphy Technologists exam; recipricol if original state's licensure standards are adequate. - Limited License X-ray- The state also has general and limited in-hospital diagnostic radiographers; can perform chest, extremities (upper and lower), spine or sinus; ARRT exam. Limited Radiographers must complete a state approved 100 hour training course and pass the ARRT limited radiography examination. Contact the Bureau of Radiological Health for a list of state approved courses. - Nuclear Medicine - State or NMTCB exam; recipricol if original state's licensure standards are adequate. - Radiation Therapy - State or ARRT exam; Recipricol if original state's licensure standards are adequate. - Radiology Assistant - Mandatory 12 hours in one-year period. - Radiography - Mandatory 24 hours in two-year period; There are additional CE requirements for post-primary areas. - Nuclear Medicine - Mandatory six hours in two-year period; See regulations for specific CE course requirements. - Radiation Therapy - Mandatory six hours in two-year period; See see regulations for specific CE course requirements. - Limited - Mandatory 12 hours in tw-year period; See regulations for specific CE course requirements. - Venipuncture - Nuclear Medicine Technologists can perform. - Contrast Media - General and limited in-hospital must pass exam in fluoro techniques. - Fluoroscopy - General and limited in-hospital must pass exam in fluoro techniques. - Radiography - State or ARRT exam; reciprocal if original states' standards are equivalent. - Nuclear Medicine - State or NMTCB exam; reciprocal if original states' standards are equivalent. - Radiation Therapy - State or ARRT exam; reciprocal if original states' standards are equivalent. Limited License X-ray: The state issues licensure to radiographers who complete a state approved limited license training course. Contact the Bureau of Air and Radiation for a list of approved programs. - Radiography - Mandatory 12 hours in a one-year period; there are regulations for specific CE course requirements. The Radiation Control Branch of Kentucky issues three categories of x-ray licensure: (1) General certification (graduates from a two-year school of radiologic technology), (2) Temporary certificate (individuals who have completed a school of radiologic technology and are awaiting ARRT examination) and (3) Limited Certification. Those individuals holding limited certification cannot be employed in a facility which utilizes contrast media. Students interested in obtaining limited certification must complete a limited radiography program that is approved by the state or an independent study course available from the Radiation Control Branch. - Radiography - State or ARRT exam, or if program approved by health cabinet. - Nuclear Medicine - State or ARRT exam, or if program approved by health cabinet. - Radiation Therapy - State or ARRT exam, or if program approved by health cabinet. - Limited License X-ray - Cannot be employed at any facilities that use contrast media; must attend a state approved program or independent study program. Radiologist Assistant - 50 hours in a two year period. Radiography - Mandatory 24 hours in two year period; there are specific regulations for CE courses. Nuclear Medicine - Mandatory 24 hours in two year period; specific regulations forÂ CE courses. Radiation Therapy - Mandatory 24 hours in two year period; specific CE course requirements. Limited - Mandatory 12 hours in two year period; see regulations for specific CE course requirements. - Contrast Media - General Certification required. - Fluoroscopy - Performed by technologists under the direction of a radiologist and be exclusively for localization to obtain images for interpretation. - Radiation Therapy - State, ARRT or ASCP exam; reciprocal if original states' standards are equivalent. - Fusion Imaging - State or ARRT exam; reciprocal if original states' standards are equivalent. - Limited License in X-ray: In Louisiana, you must either be licensed by the Louisiana State Technologist Board of Examiners (LSRTBE), or you may meet the qualifications for certification as a "Private Radiologic Technologist" as issued by the Louisiana Board of Medical Examiners.(BME). The BME only has jurisdiction over persons employed by licensed physicians in that physician's own private office. The LSRTBE has jurisdiction everywhere else. If you are licensed by the LSRTBE, you are exempt from the BME requirements and visa versa. Radiography - Mandatory 24 hours in a two-year period; see regulations for specific CE course requirements. Nuclear Medicine - Mandatory 24 hours in a two-year period; see regulations for specific CE course requirements. Radiation Therapy - Mandatory 24 hours in a two-year period; see regulations for specific CE course requirements. Fusion Imaging - Mandatory 24 hours in a two-year period; see regulations for specific CE course requirements. - Radiography - State or ARRT exam; recipricol if original state's standards are equivalent and possesses national certification. - Nuclear Medicine - State or NMTCB exam; special NMT permit for radiographer undergoing NMT training; recipricol if original state's standards are equivalent and possesses national certification. - Radiation Therapy - State, or ARRT exam; recipricol if original state's standards are equivalent and possesses national certification. - Limited License X-ray- A Limited radiographer is a person other than a licensed practitioner who applies x-radiation to specific parts of the human body for diagnostic purposes while under the supervision of a licensed practitioner. The individual must complete a state approved course prior to taking the State examination. May practice in spine, chest, extrmity, skull, and/or podiatry. No more than two categories shall be held by any limited license holder. Fluoroscopy is not permitted for limited permit holders. Only allowed to work in office of licensed practitioner or clinic. No contast material, bedside fluoroscopic, computed tomographic or mamographic equip., or absorbtiometry; recipricol if original state's standards are equivalent and possesses national certification. The Radiologic Technology Board of Examiners of Maine has approved the Glacier Valley Radiology Study Guide as approved curriculum for those seeking to obtain limited licensure in the State of Maine. While the Radiologic Technology Board of Examiners endorses this course, it does not require that limited license trainees utilize our Radiology Study Guide. - Radiography - Mandatory 24 hours in two-year period. There are specific regulations for CE courses. - Nuclear Medicine - Mandatory 24 hours in two-year period. There are specific regulations for CE. - Radiation Therapy - Mandatory 24 hours in two-year period. See regulations for specificÂ requirements. - Limited - Mandatory 24 hours in two-year period. See regulations for specific CE course requirements. - Radiography - State or ARRT exam; may only practice under supervision of physician. - Nuclear Medicine - State or NMTCB exam; may only practice under supervision of physician. - Radiation Therapy - State or ARRT exam; may only practice under supervision of physician. - Fusion Imaging - State or ARRT exam; may only practice under supervision of physician. - Limited License X-ray: Maryland requires that anyone taking x-rays be certified through the American Registry of Radiologic Technologists (ARRT), which requires graduation from a 2-year school of radiologic technology. Maryland does not recognize limited licensure x-ray technologists. - Radiologist Assistant - Mandatory 50 hours in a two-year period. - Radiography - Mandatory 24 hours in a two-year period. - Nuclear Medicine - Mandatory 24 hours in a two-year period. - Radiation Therapy - Mandatory 24 hours in a two-year period. - Fusion Imaging - Mandatory 24 hours in a two-year period. - Venipuncture -may perform as listed in scope of practice and is ARRT registered. - Medications - may perform as listed in scope of practice and is ARRT registered. - Contrast Media - may perform as listed iny scope of practice and is ARRT registered. - Fluoroscopy - may perform as listed in scope of practice and is ARRT registered. - Limited License X-ray - Massachusetts requires that anyone taking x-rays be certified through the American Registry of Radiologic Technologists (ARRT), which requires graduation from a 2-year school of radiologic technology. The state does not recognize limited licensure x-ray technologists. - Radiography - Mandatory 20 hours in two-year period; There are specific regulations for CE courses. - Nuclear Medicine - Mandatory 20 hours in two-year period; specific regulations for CE courses. - Radiation Therapy - Mandatory 20 hours in two-year period; specific regulations for CE courses. - Fluoroscopy - May perform as listed by scope of practice & are ARRT registered. - The state of Michigan does not license the operators of x-ray equipment, nor does it have any requirements relative to the licensure or credentialing of x-ray machine operators. - Mammography - ARRT exam or meet standards for issuance of a registration certificate as a radiology technologist from American Registry of Clinical Radiography Technologist. - Radiographer - No requirements. - Mammography - Mandatory 15 hours in three years. See regulations for additional specific CE requirements. - Radiographer - State, ARRT or ACRRT exam; reciprocal if original state's standards are equivalent. - Limited x-ray operators (LXMO) is anyone who is not a Radiologic Technologist registered by the ARRT. These individuals are required to pass the state x-ray operators exam. There are currently three state approved testing centers. Those who pass the x-ray operator examination are allowed to perform any x-ray examination that the facility where they are employed wishes them to do. Those wishing to become more familiar with the fundamentals of radiology and prepare for the state exam might consider the Glacier Valley Medical Education Radiology Study Guide. - Fusion Imaging - No renewal required; specific credentialing requirements for fusion imaging of ARRT or NMTCB to operate the stand-alone nuclear medicine unit or to operate in the dual mode if the operator has training in CT.
- Fusion Imaging - Mandatory 24 hours in a two-year period for the nuclear medicine portion. - Fluoroscopy - LXMOs specifically prohibited from operating. Therefore, can only be performed by registered Radiologic Technologists or by those professionals exempt from the licensure laws. - Radiologist Assistant - ARRT exam; licensed through the Mississippi Medical Board. - Radiography (X-ray Operator) - ARRT exam; licensed through the Dept. of Health. Mississippi requires that anyone taking x-rays be certified through the American Registry of Radiologic Technologist (ARRT), which requires graduation from a 2-year school of radiologic technology. Mississippi does not recognize limited licensure x-ray technologists. - Nuclear Medicine - ARRT or NMTCB exam; licensed through the Dept. of Health. - Radiation Therapy - ARRT exam; licensed through the Dept. of Health. - Radiologist Assistant - Mandatory 24 hours in a two-year period. - Radiography - Mandatory 24 hours in a two-year period; therer are specific regulations for CE course requirements. - Nuclear Medicine - Mandatory 24 hours in a two-year period;specific regulations for CE course requirements. - Radiation Therapy - Mandatory 24 hours in a two-year period; specific regulations for CE course requirements. The state of Missouri does not license the operators of x-ray equipment, nor does it have any requirements relative to the licensure or credentialing of x-ray machine operators. - Radiography - state or ARRTexam. - Radiologist Assistant - Mandatory six hours and ARRT CE requirement. - Radiography - Not mandatory; only need proof of current ARRT certification. - Limited - Mandatory six hours in a one-year period. - Venupuncture - can only be performed by registered Radiologic Technologists. - Contrast Media - can only be performed by registered Radiologic Technologists. - Radiography (Medical Radiographer) - State or ARRT exam; reciprocal if original state's standards are equivalent. - Limited License X-ray - Must pass the ARRT Limited Scope exam; can perform chest, extremities, skull/sinuses, spine, ankle/foot and abdomen exams.Â Students interested in becoming a Limited Radiographer are not required to attend a formal school before taking the State licensure examination, but they must pass the ARRT limited scope examination with a score of 75% or more. The State Radiology Board of Nebraska encourages students to take a course to prepare for the examination. Those wishing to obtain a limited scope license might consider preparing for the exam using the Glacier Valley Medical Education Radiology Study Guide. Fusion Imaging - ARRT CT certification and Nuclear Medicine Certification from either ARRT or NMTCB. - Radiography - Mandatory 24 hours in a two-year period; there are specific regulations for CE course requirements. - Limited - Mandatory 24 hours in a two-year period; see regulations for specific CE course requirements. - Contrast Media - cannot be performed by Medical Radiographer or Limited Radiographer. - Fluoroscopy - cannot be performed by Limited Radiographer. - The state of Nevada does not register or license medical x-ray machine operators, except mammography technologists. - Mammography - Must pass ARRT Mammography exam; It is up to the owner/controller/user (machine registrant) to ensure training commensurate with the machines of interest. - Mammography - Mandatory 15 hours in three-year period; There are specific regulations for CE course requirements. The state of New Hampshire does not license the operators of x-ray equipment, nor does it have any requirements relative to the licensure or credentialing of x-ray machine operators. - Radiography - State or ARRT exam; reciprocal if original state's standards are equivalent. - Nuclear Medicine - State or NMTCB exam; reciprocal if original state's standards are equivalent. - Radiation Therapy - State or ARRT exam; reciprocal if original state's standards are equivalent. - Limited License X-ray - Limited permit aspirants are required to submit a course completion certificate from a state approved school before they can take the state licensure examination (ARRT Limitred Scope Exam). Contact the Bureau of Radiologic Health for a list of state approved courses. Can perform chest, othopedic, podiatric, urologic exams but not barium or bone densitometry exams. - Venipuncture - can only be performed by licensed Radiologic Technologists. - Medications - State regulation states in writingÂ who can and cannot perform. - Contrast Media - can only be performed by licensed Radiologic Technologists. - Fluoroscopy - State regulation states in writingÂ who can and cannot perform. - Radiologist Assistant; State or ARRT exam; reciprocal if original state's standards are equivalent. - Radiography; State or ARRT exam; reciprocal if original state's standards are equivalent. - Nuclear Medicine; State or ARRT exam; reciprocal if original state's standards are equivalent. - Radiation Therapy; State or ARRT exam; reciprocal if original state's standards are equivalent. - Fusion Imaging; State or ARRT exam; reciprocal if original state's standards are equivalent. - Limited License X-ray (Limited Radiologic Practitioners or Limited X-ray Machine Operator); Must attend a State board approved training/experience/exam or pass the ARRT Limited Scope exam; Can practice in podiatry, othopedic, thorax, skeletal or dental categories. To obtain a certificate, the student must attend a state approved course. Contact the Radiologic Technologist Program for a list of approved courses. - Radiologist Assistant Mandatory 20 hours in two-year period; there are specific regulations for CE. - Radiography Mandatory 20 hours in two-year period; see regulations for CE course requirements. - Nuclear Medicine Mandatory 20 hours in two-year period; see regulations for CE course requirements. - Radiation Therapy Mandatory 20 hours in two-year period; see regulations for CE requirements. - Limited Mandatory 20 hours in two-year period; see regulations for specific CE course requirements. - Medications - cannot be performed by Limited X-ray Machine Operator. - Contrast Media - cannot be performed by Limited X-ray Machine Operator. - Fluoroscopy - cannot be performed by Limited X-ray Machine Operator. - Radiography - State or ARRT exam; reciprocal if original state's standards are equivalent; Armed Forces provisions if passed ARRT exam. - Radiology Assistant - RA licensed as a "Specialist Assistant"; State or ARRT exam. - Mammography - Mandatory 15 continuing education units in mammography during the 36 months immediately preceding the date of the facility's annual MQSA inspection, or the last day of the calendar quarter preceding the inspection or any date in between the two. - Venipuncture - Special permit ris equired from the state Department of Health. - Contrast Media - R.T. may administer contrast with additional certification by the Department. - Fluoroscopy - States in writing in the statute who can and cannot perform. The state of North Carolina does not license the operators of x-ray equipment, nor does it have any requirements relative to the licensure or credentialing of x-ray machine operators. - Radiography (General Diagnostic Operator) -Â Must pass State, ARRT or ACRRT exam. - Limited License X-ray (Limited Diagnostic Operator) -Â No exam required- only a passing grade/ course completion; can perform chest, ribs, abdomen, podiatry, skull/sinuses, extremities, and/or spine. - Limited License- Not mandatory. - Radiography (Radiographer) - State or ARRT exam; reciprocal if original state's standards are equivalent. - Fusion Imaging - State or ARRT exam; reciprocal if original state's standards are equivalent. - Limited License X-ray (General X-ray Machine Operator ) - Can perform under direct supervisor of licensed pratitioner within scope of practitioner's practice. The minimum requirement for any individual performing x-ray procedures in the state of Ohio is that the individual be licensed as a general x-ray machine operator. In order to obtain a license as a general x-ray machine operator, the applicant must attend an educational program accredited by the Ohio Department of Health. After completion of the approved program, the applicant must pass the state license examination. Contact the Department of Health for a list of approved courses. - Radiography - Mandatory 50 hours in a two-year period; there areÂ specific regulations for CE courses. - Nuclear Medicine - Mandatory 24 hours in a two-year period; see regulations for specific requirements. - Radiation Therapy - Mandatory 24 hours in a two-year period; see regulations for specific requirements. - Fusion Imaging - Mandatory 24 hours in a two-year period; see regulations for specific CE requirements. - Limited License - Mandatory 6 hours in a two-year period; see regulations for specific CE course requirements. - Contrast Media - States in writing in the statute who can and cannot perform. - Radiographer - The state of Oklahoma does not license the operators of x-ray equipment, nor does it have any requirements relative to the licensure or credentialing of x-ray machine operators. - Radiologist Assistant - Must pass the ARRT exam. - Radiologist Assistant - Mandatory 50 hours in two-year period; see regulations for specific CE course requirements. - Radiologist Assistant -State or ARRT exam; able to peform fluoroscopy. - Radiography - State exam; reciprocal if original state's standards are equivalent. - Radiation Therapy - State exam; reciprocal if original state's standards are equivalent. - Fusion Imaging - State exam; reciprocal if original state's standards are equivalent. 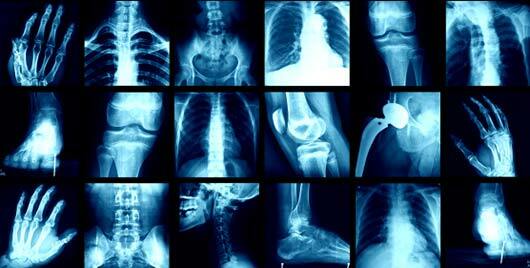 - Limited License X-ray - Can perform head, spine, chest & ribs, upper extremities, foot & ankle, bone densitometry. The state issues limited permits in radiography. Limited permit aspirants are required to submit a course completion certificate from a state approved school before they can take the Oregon State examination. Contact the Board for a list of approved programs. - Radiologist Assistant - Mandatory 24 hours in two-year period; see regulations for specific requirements. - Radiography - Mandatory 24 hours in two-year period; see regulations for specific CE course requirements. - Radiation Therapy - Mandatory 24 hours in two-year period; see regulations for specific CE course requirements. - Nuclear Medicine - Mandatory 24 hours in two-year period; see regulations for specific CE course requirements. - Limited License- Mandatory 24 hours in two-year period; see regulations for specific CE course requirements. - Fluoroscopy - can only be performed by Radiologist Assistant. - Radiography - ARRT exam; State license needed if working in M.D. office only. - Nuclear Medicine - ARRT exam; State license needed if working in M.D. office only. - Radiation Therapy - ARRT exam; State license needed if working in M.D. office only. - Limited License X-ray-ÂARRT Limited Scope exam; can perform thorax & extremities, skull & sinus categories. - Limited LicenseÂ - Not mandatory. - Radiography - ARRT exam; reciprocal if original state's standards are equivalent. - Nuclear Medicine - NMTCB exam; reciprocal if original state's standards are equivalent. - Radiation Therapy - ARRT exam; reciprocal if original state's standards are equivalent. - Limited License X-ray- must work 500 hours during three consecutive years; general radiography only under direct supervision of a licensed practitioner. - Limited - Mandatory 24 hours in two-year period; see regulations for specific CE course requirements. - Cardiac Invasive Specialist - RCIS exam. - Limited Chiropractic, Limited General, Limited Bone Densitometry - State board approved or ISCD exam; can perform general, chiropractic, bone densitometry categories. - Limited Podiatric/Chest - ARRT exam; can perform chest, podiatric categories. - Cardiac Invasive Specialist - Mandatory 24 hours in two-year period. - Limited Chiropractic, Limited General, or Limited Bone Densitometry - Mandatory 12 hours in two-year period; see regulations for specific CE course requirements. - Limited Podiatric/Chest - Mandatory six hours in two-year period. There is no licensing requirement in South Dakota for those performing x-ray procedures. At a minimum, any person who has 24 hours of orientation and training in the operation of radiation producing equipment by a qualified instructor may operate any radiation producing device. Dental radiographers must have a minimum of 16 hours of training. Those wishing to become more familiar with the fundamentals of radiology might consider the Glacier Valley Medical Education Radiology Study Guide. - Radiologist Assistant - State or ARRT exam. - Radiography -State or ARRT exam; recipricol if original state's licensure standards are equivalent. - Limited License X-ray- The state issues limited certification in x-ray. The holder of a limited permit is enabled to perform only those radiological procedures or functions intended for the body areas indicated on the issued certification, other than those procedures involving the administration of contrast media. Limited certification is available in the following areas: Chest, Extremities, Skull (AP & lateral only), sinuses, and lumbar spine (AP & lateral only). The individual must submit verification of attendance and successful completion of a state Board approved radiological certification training course for the type of certification sought pursuant to Rule 0880-50.05(2) and successfully complete the Board approved examination. Contact your state board for a list of approved programs. - NOTE: Personnel (except for RAs) must be state licensed only if they work outside of a hospital. - Radiography - Mandatory 20 hours in two-year period. - Limited - Mandatory 20 hours in two-year period. - Nuclear Medicine - State or ARRT exam; reciprocal if original state's standards are equivalent. - Limited License X-ray - ARRT Limited Scope exam, ACRRT exam for Limited Chiropractic, CCI exam for Limited Cardiovascular; can perform skull, cardiovascular, extremities, podiatric, chest, chiropractic, spine categories. - Non-certified Technician (NCT) - Not allowed to perform dangerous or hazardous radiologic procedures; regulated by Texas Chiropractic, Podiatric, Medical or Nursing Boards. - Limited - Mandatory 12 hours in two-year period; see regulations for specific CE course requirements. - Venipuncture - cannot be performed by Limited X-ray Machine Operator. - Radiography - ARRT exam. - Nuclear Medicine - NMTCB exam. - Limited License X-ray (Radiology Practical Techncian) - Can perform core, extremities, chest, skull/sinuses or podiatric categories.Â A practical technician must pass the "Utah Limited Scope of Practice in Radiography" Examination, administered by the Professional Licensing board. Those wishing to obtain a limited scope license might consider preparing for the exam using the Glacier Valley Medical Education Radiology Study Guide. - Bone Densitometry Equipment Operator (BDEO) - ARRT Limited Scope BDEO exam. - Radiography - Mandatory 16 hours in two-year period. - Nuclear Medicine - Mandatory 16 hours in two-year period. - Radiation Therapy - Mandatory 16 hours in two-year period. - Limited - Mandatory 10 hours in two-year period. - Mammography - Mandatory 32 hours in two-year period. - Venupuncture - Nothing is written in statute that states an R.T. can or cannot perform. - Medications - cannot be performed by Radiology Practical Technician. - Contrast Media - cannot be performed by Radiology Practical Technician. - Limited License X-ray - Must pass State board approved or ARRT Limited Scope exam; can perform chest and extremities categories. - Fusion Imaging - Mandatory 24 hours in two-year period; see regulations for specific CE course requirements. Limited LicenseÂ - Mandatory 24 hours in two-year period; see regulations for specific CE course requirements. - Fluoroscopy - must complete a course of instruction or demonstrate to a qualified expert the appropriate use of fluoroscopic equipment. - Radiography - not required for persons who are employed by a licensed hospital; State or ARRT exam. - Limited License X-ray - State board approved or ARRT Limited Scope exam; Areas of practice include chest/thorax, extremities, skull/sinuses, spine, podiatry; chiropractic; and bone density. ACRRT exam is required for chiropractic; ISCD exam is required for bone densitometry. - Limited License- Mandatory 12 hours in two-year period; see regulations for specific CE course requirements. - Radiography - State exam, graduation from an accredited program or ARRT exam; reciprocal if original state's standards are equivalent. - Nuclear Medicine - State exam, graduation from an accredited program or NMTCB exam; reciprocal if original state's standards are equivalent. - Radiation Therapy - State exam, graduation from an accredited program or ARRT exam; reciprocal if original state's standards are equivalent. - Limited License X-ray (Limited Registered X-ray Technicians) - Areas of practice include extremities, pelvis, chest/ribs, spine, skull, abdomen and podiatry exams.Â To obtain limited licensure, the student must pass the ARRT Limited Scope of Practice examination. The student must also attend an 8 hour HIV/AIDS training course at a local hospital or clinic prior to being granted licensure. Those wishing to obtain a limited scope license might consider preparing for the exam using the Glacier Valley Medical Education Radiology Study Guide. - Radiography - State or ARRT exam; reciprocity considered on an individual basis. - Radiation Therapy - State or ARRT Exam; reciprocity considered on an individual basis. - Nuclear Medicine - State, NMTCB or ARRT Exam; reciprocity considered on an individual basis. - Limited License X-ray - can perform podiatry only (Podiatric Medical Assistant ); must pass SPMA exam. - Apprentice license -Â limited number of renewals. - Venipuncture - Nothing is written in statute that states an R.T. can or cannot perform, but is stated as part of the scope of practice for the R.R.A. - Medications - Nuclear medicine. - Contrast Media - After consultation with, and under the supervision of, a physician who is immediately and physically available. - Fluoroscopy - Performance of non-interpretive fluoroscopic procedures according to institutional policy permitted. - Radiography - The State of Wisconsin passed the Radiographer Licensing Act in February 2010. Wisconsin now requires operators of medical diagnostic x-ray devices to be State licensed in Wisconsin. - TechnologistsÂ must have ARRT certification requirements when performing CT or Radiation Therapy. - Radiologist Assistant -ARRT exam; no specific provisions for RA practice. - Nuclear Medicine -State or NMTCB exam; reciprocal if original state's standards are equivalent. - Limited License X-ray- Must complete a State board- approved licensing exam; Areas of practice include skull/sinuses/spine; chest; upper & lower extremities; pectoral girdle excluding pelvis; podiatric; bone densitometry categories. - Special License for students if hardship or emergency conditions exist; good for one year; non renewable. - Radiologist Assistant - No specific provisions for RA practice.